CREDIT: Barnard, George N., photographer. Nashville, Tennessee. 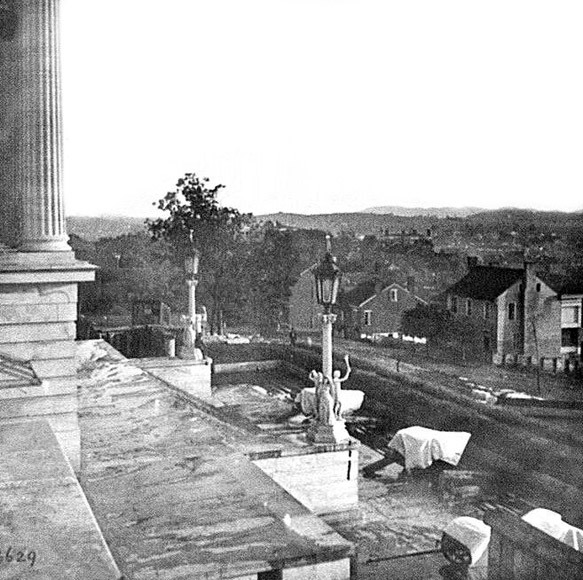 Steps of the Capitol with Covered Guns; Vista of the City Beyond, 1864. Prints and Photographs Division, Library of Congress. Reproduction Number LC-DIG-cwpb-02070.